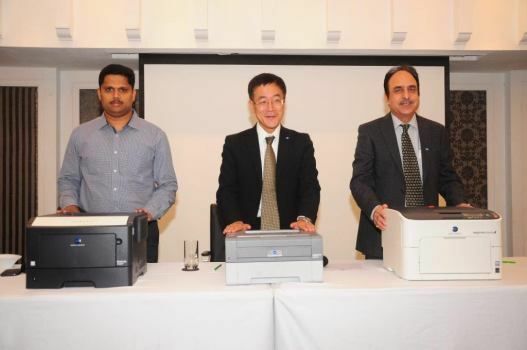 Konica Minolta hopes to popularise its printing solutions in the Indian market with a slew of new range of A4 printers. After having launched Production Printers and Colour Printers, Konica Minolta has now forayed into A4 printer market. Konica Minolta has also appointed three new partners,PG Micro Systems Pvt. Ltd, Anugraha Agencies and Positive Systems for Haryana, Bangalore and Kochi regions respectively. “These new A4 series range are set to take our printing solutions offering in Indian Market to new dimensions. 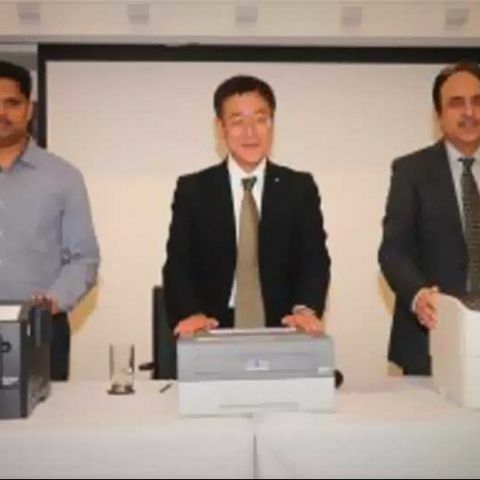 Both the home segment and small offices are set to benefit from these products with competitive prices and low cost of operation.” said Mr. Tadahiko Sumitani, Managing Director, Konica Minolta Business Solutions India Pvt. Ltd. This new range of printers by Konica Minolta has been launched under two categories, Monochrome series and Color Series. Under Monochrome series, 3 different printers have been introduced. While in Color series, 4 different printers have been released. The Konica Minolta’s printers come with new IDC sensors and new colour control. These models featuring compact size, advanced controls and are supposed to easily integrate into any small office or home setting. These A4 range printers by Konica Minolta are available in the market and are priced between Rs. 5,000-40,000. Pagepro 1500W is a Monochrome Laser printer with printing speed of 21 papers per minute, memory of 8 MB and supports A4, Legal, Letter, B5, A5, A6 & Executive Media Sizes. Pagepro 1590MF is a Monochrome Laser Printer with printing speed of 24 papers per minute, supporting 32 MB memory and can be used for A4, Letter, B5, A5, A6, Executive, Legal, Folio & Monarch format printing. It also comes with a CCD Image sensor, flat bed scanner. Bizhub 3300P is another Monochrome Laser Printer where high productivity meets intuitive ease of use. It has a printing speed as high as 35 papers per minute and memory capacity of 128 MB. Besides supporting A6 to A4 media sizes, it also supports custom paper sizes. Magicolor 1600W is a Color Laser Printer with 16 MB memory and printing speed of 20ppm for monochrome printing and 5 ppm for colour printing. It supports media size of A4, A5, and Legal, Letter, Envelope, DL, B5 & custom size of 92 – 216 X 184 – 356 mm. Another model, Magicolor 1650 EN is a variant of Magicolor 1600W but with memory capacity of 256 MB. Magicolor 1680MF is a Color Laser Printer with printing speed of 20ppm for monochrome printing and 5 ppm for colour printing. It has a memory capacity of 64 MB and supports A4, A5, B5, Letter, Legal, envelope C6, Envelope DL & Custom paper sizes of 92 – 216 mm X 184 – 356mm. It also comes with a CCD Image Sensor, flat bed scanner. Thus, Magicolor 1680MF is one compact system for a home’s every need. Magicolor 1690MF is a variant of 1680MF with 128 MB memory capacity and an added fax machine. This fax machine has a speed of 3sec per page.